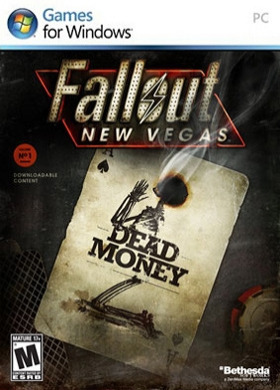 In order to get this DLC to work, you need the original game of Fallout®: New Vegas™As the victim of a raw deal you must work alongside three other captured wastelanders to recover the legendary treasure of the Sierra Madre Casino. In Dead Money, your life hangs in the balance as you face new terrain, foes, and choices. It is up to you how you play your cards in the quest to survive.Story:Welco… me to the Sierra Madre Casino! The casino’s mythical contents are lusted after by desperate wasteland scavengers, who tell stories of intact treasure of the old world buried deep within its vault. Lured here by a mysterious radio signal advertising the long-awaited grand opening of the casino, you are thrown into a high stakes game where you’ll have to work with three other lost souls if you want to survive.Key Features:Take part in a suspenseful post-apocalyptic casino heist in which you’ll need to work with three companions, each of whom has their own motivation for helping you.Add hours of extended gameplay where you’ll encounter the mysterious Ghost People, pre-war death traps and the holographic security system of the Sierra Madre.Navigate your way through a challenging new storyline, with even tougher choices.New perks, achievements, and a raised level cap to 35!System requirements :	OS : Windows XP / Vista / 7 CPU : Dual Core	2 GHz RAM : 2 GB GPU : GeForce 6 Series / Radeon 1300 XT HDD : 10 GBActivation Key must be used on a valid Steam account.Fallout®: New Vegas™ © 2010 Bethesda Softworks LLC, a ZeniMax Media company. Bethesda Softworks, ZeniMax and related logos are registered trademarks or trademarks of ZeniMax Media Inc. in the U.S. and/or other countries. Fallout, Fallout: New Vegas and related logos are trademarks or registered trademarks of Bethesda Softworks LLC in the U.S. and/or other countries. Developed in association with Obsidian Entertainment Inc. Obsidian and related logos are trademarks or registered trademarks of Obsidian Entertainment Inc. All Rights Reserved.